Do you own a warehouse? Is inventory management one of the greatest challenges for you right now? Let us take you on a ride over how to solve this challenge and invest more of your time in managing revenues and profits! 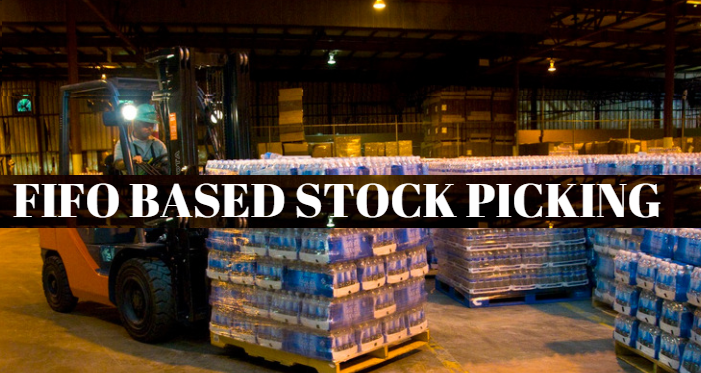 Stock rotation to avoid loss due to out of date inventory is the prime issue companies face which even digs them into huge losses if not managed efficiently in time. Many businesses have the inventory with an expiration date. So, shipping the items on the principle of “First in, First Out“, protects the product quality and freshness. Using FIFO, you can ship products relatively in neat and clean boxes, as products would have spent less time in your warehouse. Companies that sell perishable products, such as food products, medicines or in trend fashion accessories, apparels, footwear etc. commonly follow FIFO as their method for inventory valuation. For example, a medical store purchases medicines at regular intervals to stock its shelves. As customers purchase medicines, the stockers push the oldest medicine carton to the front of the shelf and replace medicines with new MFG date behind those cartons. The cartons of medicines with the nearest expiration dates are sold first, whereas the ones with later expiration dates are sold after the older medicines. This ensures that the first products purchased will be the first products sold! Outdated or obsolete products aren’t an issue for most of the industries. But for those who deal in perishable products, to remove the outdated inventory is the costliest and most unnecessary task in a warehouse. Use of FIFO in such industries ensures the products to be picked and shipped as quickly as possible. Reduce the number of incidents where customers can receive an older, obsolete product due to improper rotation of stock in your warehouse. With FIFO you can now ensure a better user experience and deliver a fresh product which is cleanly packed. 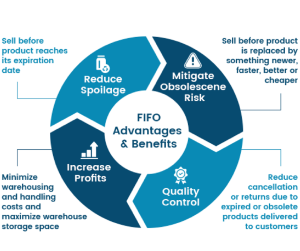 With FIFO implemented in your warehouse, define Shelf life, Expiry, Manufacturing Date & Tolerance. This will eliminate incidents of shipping products that are close to or past warranty expiration. Implementing FIFO will ensure that you ship the most recent and desirable products to your customers. It is the most widely used inventory valuation method as it is practically much easier and safer for companies to opt. Thinking which Solution to Opt, to Implement FIFO? Unicommerce, No.1 E-commerce focused warehouse management solution is here with its advanced warehouse management solutions like FIFO based stock picking, Cycle Count, Handheld, Shelf-Zone based stock management.